When John McGillivray started coaching soccer at Cedarville College in 1974, Richard Nixon resigned, Leonardo DiCaprio entered the world, gas cost 55 cents a gallon and Cedarville students paid $30 per credit hour. Over 40 years and 360 wins later, McGillivray has made a name for himself in Cedarville athletics. But when he’s off the field, he shows his love for others through his servant attitude. Assistant coach Brianne Barnes has known McGillivray for over eight years. She remembered meeting him during her junior year of high school. “He seemed like a really nice guy, very grandfatherly, talked a lot, and seemed like someone who had a lot of experience,” she said. Barnes played for McGillivray from 2006 to 2009 and became a part of his coaching staff in 2011. She said that her relationship with McGillivray has grown over the years. McGillivray’s greatest strength, according to Barnes, is his love for Christ and how he allows it to affect his life. “He always wants to do something that will be glorifying to God, and I think that helps him keep his focus on what’s important,” Barnes said. McGillivray is not one to hide his faith, whether he’s on or off the field. McGillivray has coached women’s soccer since 1998. Before that, he coached Cedarville’s men’s soccer team for 24 years. Barnes said she thinks McGillivray has been able to coach for over four decades because of his love for other people. Men’s head soccer coach Brett Faro said something similar about McGillivray. One way McGillivray shows his love is by serving others. Faro recalled a story his wife told him about how McGillivray helped her and her friends one night. Sara Rogers, a junior who plays for McGillivray, said she and her teammates don’t view him as just a coach. During his time at Cedarville, McGillivray has done more than just coach the soccer team. 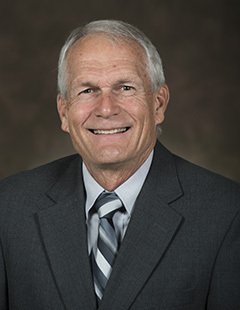 He’s taught dozens of classes, coached track and, at one time, was even the chair of the department of health and physical education (now the department of kinesiology and allied health). He also traveled with the soccer teams on numerous missions trips to countries around the world, including South Korea, the Ivory Coast and the Dominican Republic. Despite all these responsibilities, McGillivray has remained energetic at age 68. One thing that McGillivray said he is passionate about is helping his players mature in their faith. McGillivray said that although he likes to win, that’s not his main goal in every game. Throughout his coaching career, McGillivray has seen wins, conference championships, and regional and national tournaments, but he said these accomplishments are not his favorite part of the job. “Wins are nice, but relationships and how God used the experiences that we’ve allowed to happen to shape those young men and young women, those would be the great memories,” he said. McGillivray said he has been thinking of stepping down from the head coaching position in a few years. He said that when he leaves, he doesn’t want his legacy to be about how many wins he’s had or championships he’s won. Jon Gallardo is a junior journalism major and sports editor for Cedars. He loves playing basketball, listening to August Burns Red and reading Tolkien and Dr. Seuss. No Replies to "Soccer Coach Serves Students for 40 Years"